This committee was formed by the late Alice Bachraty, founder of the guild. 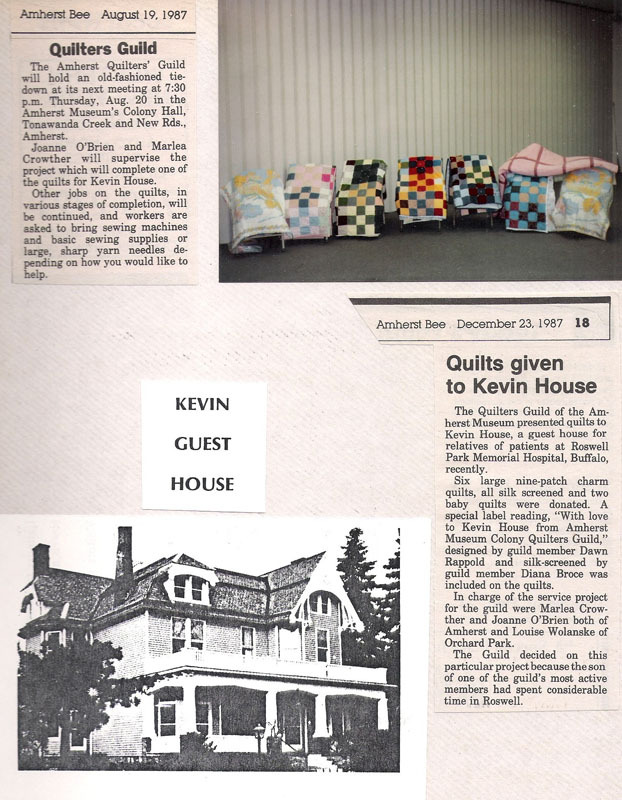 The purpose of this committee is to replicate quilts in the BNHV collection for use in the historic buildings on the campus. 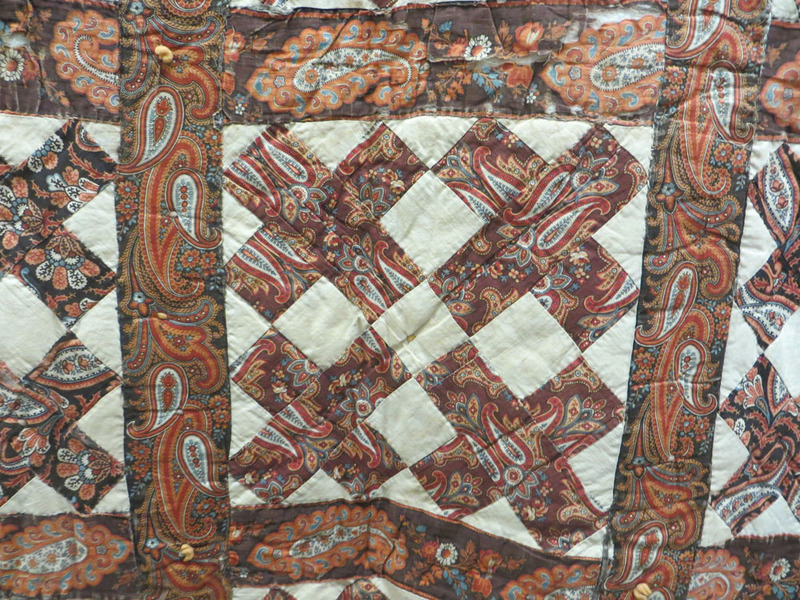 This BNHV currently owns quilts from 1820-1860 which have become too fragile to show in the historic homes. 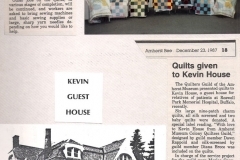 The committee seeks to replicate the quilts with extreme accuracy researching and finding fabrics that match as closely as possible to the original quilt. The committee meets at the BNHV on the third Wednesday of the month during winter hours, and in the “Bigelow/Salt Box” house on the second Saturday during the summer. To date, six quilts have been completed and can be found on the beds in those buildings. 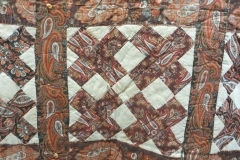 We are currently working on quilt number seven and eight, a nine-patch using assorted fabrics, and a cross-hatch paisley.